When it comes to making low carb tortillas, we've tried most different flours, from almond flour to oat fiber to ground flax meal. Nothing has worked quite as well as coconut flour has, and since it is so absorbent, less flour is needed to make the batter. Coconut flour also creates a tortilla-like texture and gives off minimal flavor, except for the spices you add to the batter. As my nut allergy has come to light we've been providing more and more coconut flour recipes and it has become our favorite flour to now cook and bake with. The key to making a tortilla verse a pancake is getting the batter as thin as possible onto the hot skillet. Combing the ingredients is the first step and there is no specific order. Just add and mix well. Really well! Now, when your skillet has fully heated (on low heat) just drop some of the mixture into the center of the skillet. We used a six inch skillet. The amount will depend on your skillet size. As soon as it hits the skillet you want to tilt it on all edges to let the batter spread and cover the entire surface. Wait for it to bubble and cook up (a couple mins). Flip, cook, remove. The more you do it, the better you get! Whether you make tacos or tortillas out of the batter, we have some great fillers for you! Our Mexican Shredded Chicken and E﻿﻿asy P﻿﻿ulled Pork would be great meats to stuff your low carb tortillas with! 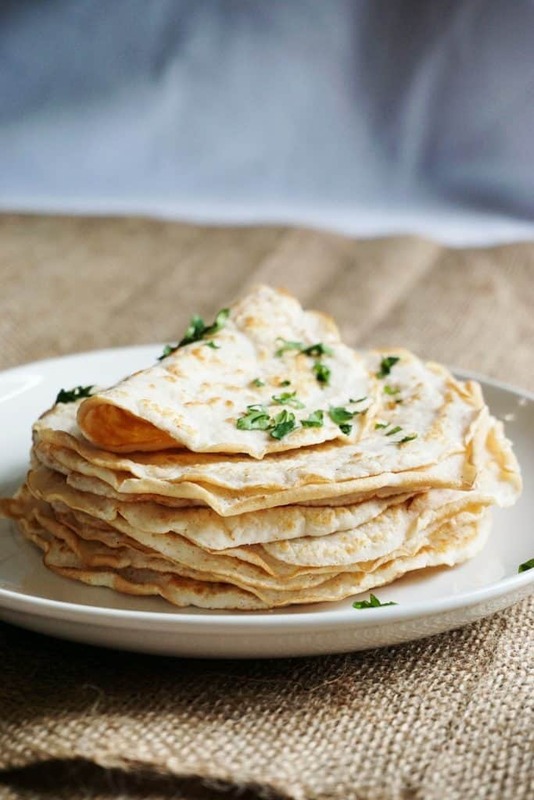 They would even make for a great snack, but we guarantee whether you make five or one hundred, the low carb tortillas are so good you won't have any leftovers!